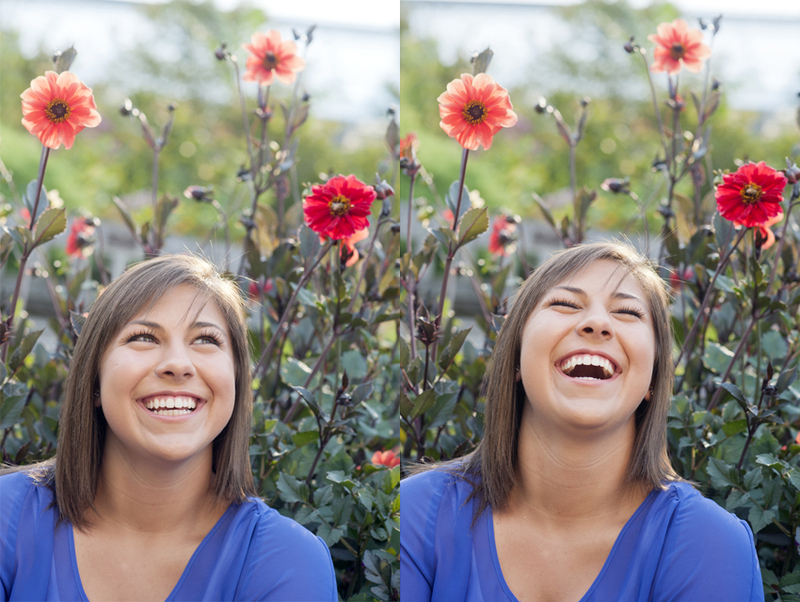 Trust me when I tell you that Jackie is as happy and sweet as she looks in these photos! We spent two hours shooting her senior photos at the Matthaei Botanical Gardens and Nichols Arboretum on a recent Sunday evening. And while I was literally melting from the heat and humidity, Jackie never broke a sweat or let that smile fade. She has a great attitude and I had a blast getting to hang out with her for an evening. I'm gunna start this post with one of my favorite photos from our shoot. I think this one shows how Jackie shines, just look at that smile! Love this photo, too! Such a beauty! Jackie has eyelashes for MILES!